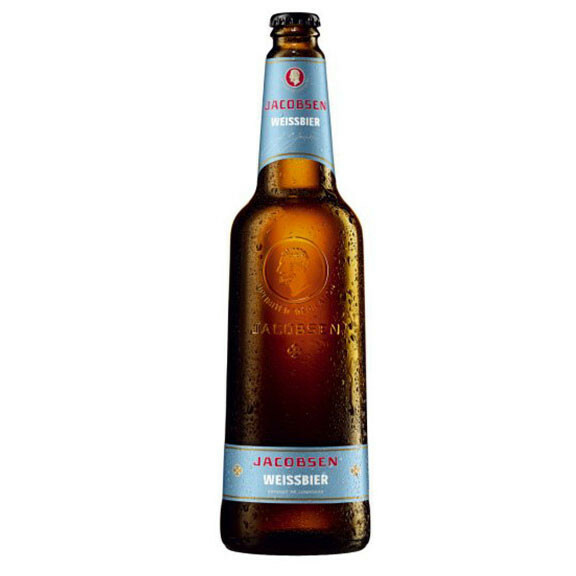 Jacobsen Weissbier is a classic, un-filtered wheat beer inspired by traditional south German beer but with Nordic simplicity. The colour of the beer is cloudy orange with a creamy foam crown. 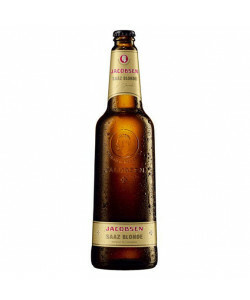 Jacobsen Weissbier is full of fruity notes, including banana, melon and citrus thanks to the top-fermenting yeast applied which incidentally is tapped to give consumers a creamier experience whilst drinking Weissbier. The taste of Jacobsen Weissbier is slightly sour, sweet and very refreshing. Rustic Bavarian food such as Weisswurst or dumplings. Hearty salads with couscous or pearl barley. Sandwiches with cheese. Pasta dishes with seafood. Spicy Asian cuisine. Steamed fish. It is recommended to gently roll the bottle before serving. Ingredients: Water, wheat malt, barley malt, glucose, carbondioxide, yeast and hops.